Leapfrog Group named Virtua Voorhees hospital to annual list of Top Hospitals in the U.S. The Leapfrog Group has named the Virtua Voorhees hospital to its annual list of Top Hospitals in the U.S. The Voorhees hospital is the only full-service, non-specialty hospital in the region to achieve this distinction and one of only 94 top hospitals recognized nationally. An elite distinction awarded to hospitals nationwide for demonstrating excellence in hospital safety and quality through the Leapfrog Hospital Survey, the Top Hospital award is given to less than seven percent of all eligible hospitals. The awards, which are given annually, was announced at Leapfrog’s Annual Meeting and Top Hospital Awards on Dec. 2 in Washington, D.C. 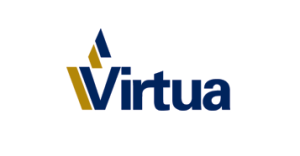 While Virtua has numerous safety and quality measures in place, it attributes much of its success to the relationship based care and shared governance models that Virtua staff practices. This enables everyone on the team to identify issues and recommend solutions, which has had a highly positive impact on safety and quality as has the addition of a physician Patient Safety Officer. The Top Hospital award is not given to a set number of hospitals, but rather, to all urban, rural and children’s hospitals that meet the high standards defined in each year’s Top Hospitals Methodology.